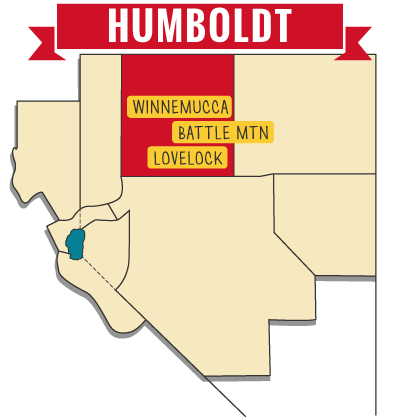 The Humboldt district serves the communities of Winnemucca, Lovelock, and Battle Mountain. The Humboldt District is part of the oldest county in Nevada and is known for its beautiful landscapes. Scouts in this District practice community involvement and offer service to those in need. Home to a melting pot of cultural identities, Humboldt District has created a culture that is one of a kind. Scouts here discover the unique elements of nature and build survival instincts in the process. They take care of the surrounding areas while fostering a strong bond with the outdoor lifestyle. Visit the Humboldt District frequently for news on events and happenings throughout the District. District Committee Meetings and Roundtables are held at Winnemucca's LDS Stake Center on the second Thursday of the month at 6:00 and 7:00 PM, respectively (excluding July and August). District Committee Meeting is always the Second Thursday of each month.